The Madison Region isn't just a great place to do business -- it's also a great place to live. And a new initiative of the Wisconsin Economic Development Corporation (WEDC) aims to tell that to the rest of the world, showcasing the business, career, and personal fulfillment opportunities throughout the state. 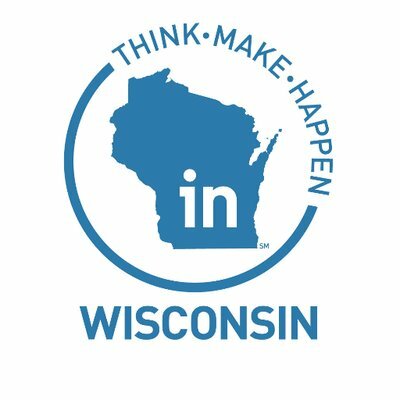 In collaboration with economic development partners and business and community leaders across Wisconsin, WEDC developed the Think ∙ Make ∙ Happen campaign, a unifying message to strengthen the state's economy and workforce. In coordination with Think ∙ Make ∙ Happen, WEDC launched a new website, an online resource that features everything that's great about Wisconsin. And because each region in the state offers something unique, each region has its own information-rich page, built in collaboration with local and regional economic development partners. Take a look at the page for the South-Central Region, which includes stunning videos, beautiful photography, compelling data, and powerful testimonials about the Madison Region. The new web page serves to highlight the work that MadREP has done to showcase the Madison Region as a great place to live, work, and play, and is an excellent addition to the region's marketing toolkit. For the many economic development partners who submitted content for the Madison Region page, we thank you for your collaboration. To learn more about how you can be involved with Think ∙ Make ∙ Happen, visit https://wedc.org/marketing/think-make-happen-wisconsin. The Wisconsin Supply Chain Marketplace directory provides companies with a convenient avenue to find Wisconsin suppliers in a simple to use system that delivers results and supplier solutions. Similarly, the Marketplace offers suppliers a dynamic platform to get their information out to a broader customer base. Suppliers in the Marketplace get access to RFPs, RFQs, and CFIs with an opportunity to respond to the requests and access new markets. Participation in the Supply Chain Marketplace is FREE, so don't wait to register as a supplier or search for a new supplier partner. CONNECT TODAY with the Supply Chain Marketplace! For assistance registering your company, please contact MadREP SVP of Economic Development Michael Gay at 608.571.0402. The Wisconsin Economic Development Corporation (WEDC) announced this week that 11 organizations have been awarded a total of $500,000 in grants to help develop or expand innovative programs aimed at advancing the climate for entrepreneurship in the state. Among those are Madison Region's Green County Development Corporation and WiSolve Consulting Group. The grants are being awarded as part of WEDC's Entrepreneurship Support Program, which is now in its second year. The grants will help fund activities that promote entrepreneurship or deliver education, training, and other resources to assist new and aspiring business owners. More than 400 entrepreneurs are expected to receive services through a wide variety of initiatives. A new, unprecedented collaboration called Madwaukee Talks is bringing Madison and Milwaukee together to share the costs and benefits of common speakers who will inform, enlighten, and motivate our communities. "For Wisconsin to compete on a national stage, Madison and Milwaukee, our two largest cities, need to be working together," said Chandra Miller Fienen, Director of Operations and Programs at StartingBlock Madison. "These talks will help our innovation communities understand the same data and have the same starting points for conversations about the opportunities and challenges that we face in driving strong economic growth." Madwaukee Talks is organized by StartingBlock Madison and the Milwaukee Institute. If some recent development deals play out as expected, the town of Beloit could see a boost in housing starts that could bring nearly 400 new homes and an influx of 1,200 residents over the next decade. Town Administrator Ian Haas said the town forged a slew of residential developer's agreements in 2017 and is rolling forward on new ones for up to 381 new condos, duplexes, and single-family homes -- $76 million worth of development over 10 years. A jump in new residential starts would help address what officials say is an emerging housing shortage in Rock County. For the town, it also could be one of a few catalysts for future commercial and industrial development, Haas said. Under new housing development deals, the town's population could grow as much as 20 percent in the next 10 years. PerBlue, a Madison company that specializes in making casual smartphone-based video games, is now developing games for Disney. The 10-year old PerBlue has built a reputation for making fantasy role-playing smartphone games in which players can level up bands of heroes in combat. Since launching in 2008 by a team of freshly graduated University of Wisconsin-Madison computer science students, the company has become a robust development studio. It has more than 40 employees housed at its east side Madison headquarters, and is hiring at a rapid clip. The new Disney-PerBlue partnership comes on the heels of a major year for Madison's gaming industry, with both a major Korean studio and a popular board game publisher opening up shop in town. Amazon is out with a list of 20 finalists for its second campus, and Madison is not one of them. Madison was one of 238 cities or regions -- from as far as Canada and Mexico -- to bid for Amazon's second headquarters. Madison Region Economic Partnership (MadREP), had submitted a proposal offering five potential sites in the Madison area. MadREP president Paul Jadin said a member of the Amazon team call him last Thursday morning with the news, and they had a 15-minute conversation. "I know we are on their radar screen," he said. The Amazon employee told Jadin, "Madison is no longer a secret to us, and we will consider you for future projects," he said. Jadin said that's just what he had hoped. "I'm very pleased that we went through this exercise." With targeted investments and forward-looking policies, Wisconsin could capitalize on its strengths in sensors and controls for the advanced energy industry to drive economic growth and support over 44,000 jobs annually. That's according to The Wisconsin Jobs Project: A Guide to Creating Jobs in Sensors & Controls for Advanced Energy, a new report created by the American Jobs Project in partnership with the Wisconsin Energy Institute at the University of Wisconsin-Madison and the Midwest Energy Research Consortium. "Our research into Wisconsin's sensors and controls cluster shows a very robust supplier pipeline, along with concentrated expertise in the sector, providing Wisconsin with an in-state asset to leverage for additional growth potential," says Connie Loden, senior project manager at New North. "The Wisconsin Jobs Project suggests a number of well-defined, practical and tested approaches to help Wisconsin take advantage of growing demand in this sector and position the state to become a global leader. The mission of the Governor's Business Plan Contest is to encourage entrepreneurs in the startup stage of tech-based businesses in Wisconsin. The contest links up-and-coming entrepreneurs with a statewide network of resources. Learn more. Venture capital is a critical ingredient to the development of a healthy business environment. Join StartingBlock Madison and the Milwaukee Institute for a deep dive into the numbers with two amazing data geeks. Register online. Wisconsin Economic Development Association's biggest event of the year, this three-day conference includes educational sessions covering the most important economic development topics and issues of the time, exhibits, receptions and other networking opportunities. Find out more. Citizens' Institute on Rural Design (CIRD) invites rural communities to apply for design assistance. In 2018, CIRD will focus on helping rural leaders and residents find creative solutions for design issues related to multi-modal transportation, healthy living by design, and main street revitalization. Learn more. The Bubbler Awards shine a light on the companies making great strides in accommodating the interests of a shifting workforce and creating environments that allow young professionals to call this state home. Apply online. Thank you to Alliant Energy Corporation and to all of our investors.